(TibetanReview.net, Nov24, 2016) – China has cancelled several planned meetings and delegation visits from Mongolia, saying the country had committed “wrongdoing” by hosting Tibet’s exiled spiritual leader, the Dalai Lama, reported India’s PTI news agency Nov 23. Beijing has demanded that Ulaanbaatar take “concrete actions” to normalise ties. Among the cancelled visits is said to be that of Mongolia’s Deputy Prime Minister. “The wrongdoing by Mongolia on this issue diminished political foundation between the two countries and brought negative impact to bilateral relations,” China’s Foreign Ministry spokesman Geng Shuang has said when asked about the postponement of the meeting and visits. “We ask the Mongolian side to respect our major concern and take concrete actions to remove the negative impact and bring China-Mongolia relations on to the track of sound development,” Geng was further quoted as saying. China claims that the Dalai Lama, 81, is a separatist, although he has for decades been only seeking meaningful for his otherwise occupied homeland. 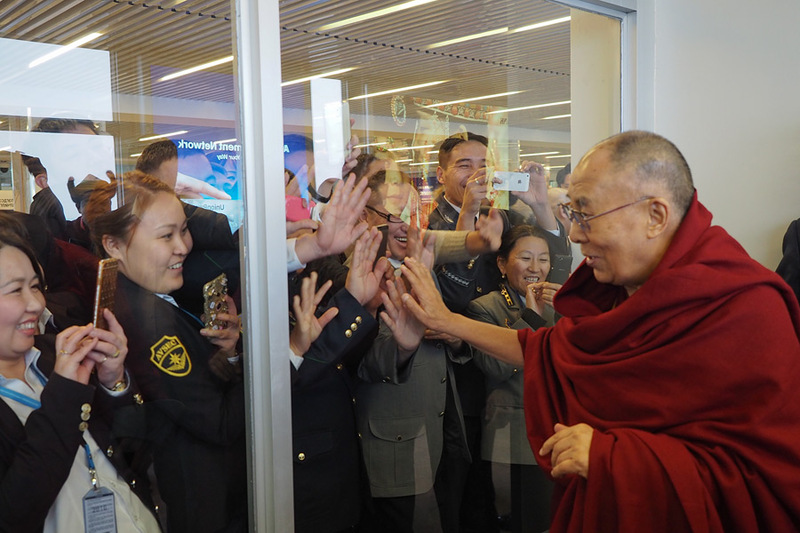 The Dalai Lama’s visit to Mongolia, which took place between Nov 18 and 23, was a big surprise given China’s known intense hostility towards such visits. Landlocked Mongolia’s resource-centred economy is heavily dependent on China and the country is still negotiating for a $4.2 billion loan from Beijing to help pull it out of a deep recession. However, China has, of late, also become dependent on Mongolia not only for its rich scarce mineral resources but also for accomplishing its Belt and Road initiative as well as the China-Mongolia-Russia economic corridor project. Mongolian is a Buddhist country with strong ties with the successive Dalai Lamas dating back centuries and of whom the fourth was a Mongolian. The current Dalai Lama has visited the country eight times since 1979.